The Norwegian venture‐backed company GasSecure AS has been sold to Dräger Holding International GmbH for approximately 500 mNOK ($61m). 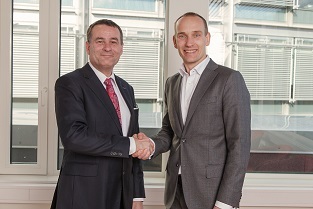 The company will strengthen Dräger’s portfolio within gas detection, with the newly developed wireless gas detector for the oil and gas industry. The sale is the proof of GasSecure’s success both in the market and as a venture backed investment. GasSecure was founded by Knut Sandven and SINTEF in 2008, based on core technology from SINTEF, with R&D Director Håkon Sagberg joining the company in 2009, and has been financially supported by Viking Venture, Investinor, ProVenture Seed and SINTEF since 2010. Chairman of the Board, Eivind Bergsmyr from lead investor Viking Venture commented: ‐ “Dräger is in our opinion the ideal buyer for GasSecure. They have the capability and distribution power to scale the unique and promising products of GasSecure with their worldwide distribution network. Dräger understands how to develop an innovative company further and has been willing to offer a competitive price acknowledging the outstanding achievements”. Dräger will continue to keep GasSecure with its 11 employees as a separate company under the leadership of founder and CEO, Knut Sandven: “We are truly impressed by Mr Sandven and his team and what they have achieved so far, and want to make sure we integrate this capability into the Dräger organization in a tailored and effective way”, says Dräger Executive Vice President M&A, Brigitte Dautzenberg. GasSecure’s products and technology are successfully field proven in the harshest offshore environments and climates from Alaska, the North Sea and Australia being bought by major global operators. The GasSecure product offering provides extended detection coverage, exceptional safety and cost performance to operators. This has become even more important with the current cost focus in the oil sector. GasSecure CEO Knut Sandven commented on the change in ownership as a natural step in expanding the GasSecure influence and success further:‐ “Growing a startup from first concept to a successful company with global reach means going through different phases. The venture companies were perfect owners in the startup phase with their continuous support, commitment and experience. Now it is all about distribution, support and scaling where a prime industrial brand such as Dräger is the best partner we could ever imagine. This is a huge recognition of our innovative technology, the GasSecure team, and our vision for new, revolutionary products”. GasSecure has been regularly featured in the INSIDER Newsletter, since the first mention of their novel wireless hydrocarbon gas detector at an Invensys OpsManage meeting back in 2011. Last mention was in July 2014, when a deal was announced with Yokogawa for joint marketing of ISA100 wireless systems using the GasSecure gas detectors.